Antique Rocking horses - G & J Lines rocking horse on a bow rocker. G & J Lines rocking horse on a bow c1860. 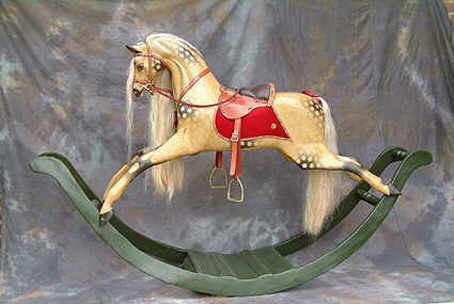 A typical example of a G & J Lines rocking horse on a bow c1860.